With recent technological advancements, the face of marketing has changed and traditional marketing methods are being left behind. While traditional advertising is still used, smaller businesses no longer have to resort to paying thousands of pounds for expensive TV and print ads to generate leads. Salespeople will no longer have to spend hours cold-calling to find leads which is ineffective 90% of the time and there are so many better alternatives available. Inbound marketing services have become the solution for any business that wants to not only generate leads and increase its customer base but to retain customers and create a positive brand image. 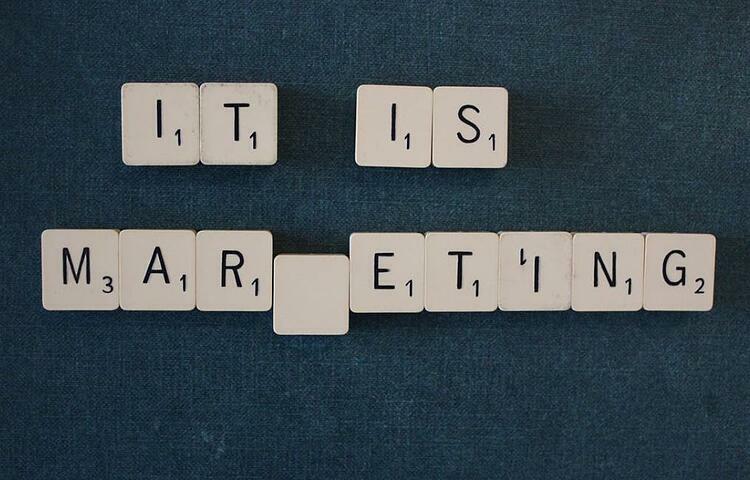 But what exactly is inbound marketing? How do you become an inbound marketing expert? And how can you use it in your business? Inbound marketing does not rely on interrupting potential customers to get their attention like a traditional ad. It does not involve pushy sales tactics. It’s entire focus is on creating and sharing content that provides value to your audience. As people find, engage and interact with your content, their trust in your brand increases. You target your audience by finding out about what they want to read about, by researching their hopes, their desires, their fears and their problems, and then creating content around these issues. In short, you deliver useful and insightful content that helps them in some way, whether through increasing their knowledge or overcoming their problems. And it's that value that keeps them coming back for more until they ultimately decide to become customers. Inbound marketing isn't just focused on attracting new customers at the expense of existing customers. It does both. While the primary aim of your content may be to reach out to new customers and encourage them to engage with your content, there is no reason why you shouldn't continue to provide value to your existing customers. It's far less expensive to sell to existing customers than to find new customers. Existing customers already know and trust your brand, and they are more likely to continue buying from you. So if you can keep on showing your appreciation by providing them with content they find valuable, you will build stronger relationships with them. Then there's more chance that they will continue to purchase from you as well as recommending you to their friends. You start out by ATTRACTING new customers by creating valuable content that targets your ideal customers and then distributing this content on social media and PPC advertising. 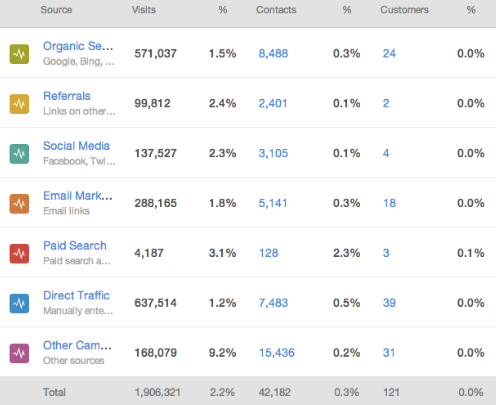 Once people discover your content, you CONVERT them into leads using forms, landing pages and CTAs (Calls To Action). You continue to deliver value to them through email marketing, automated workflows backed with integrated CRM (Contact Relationship Management) systems until you CLOSE the sale. You then continue to DELIGHT them by providing constant value through engaging content, surveys and social updates. The aim of this is to turn them into promoters over time. Inbound marketing helps make this methodology easier by consolidating marketing channels into one centralised area (closed loop reporting). This style of reporting offers measurable ROI and complete visibility of your marketing channels aiding in the ease of tracking and analysing your marketing efforts. You will start to build a marketing model that demonstrates proven ROI to educate future investment decisions. 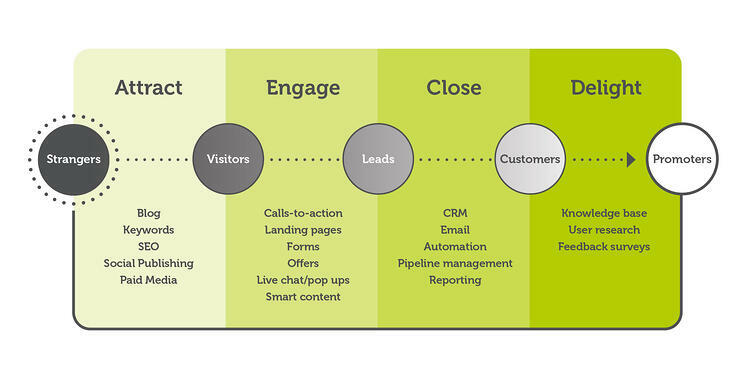 Inbound marketing helps businesses of all sizes to increase leads, build trust and boost sales. Even better, getting started is easy – even on a small budget. Want to further delve into inbound marketing and learn what it takes to become an inbound marketing expert? Download our guide for more hints and tips now!